01. Training of NAS Mock Test. 02. Work shop for NAS paper assessment. 03.Work shop for NAS paper scanning. 04 Training of Guidance for Virtual class online lesson Telecast. 05.Module writing workshop for NAS examination. 06. Module writing workshop for social science resource person. 08. Training related to education base on learning learning outcomes. In the year 1947 our Govt. of India Education Department had decided path coming era we will provide education for all. Education for all is a basic or fundamental right to all. So our Government had formulated Universalisation of Elementary Education (UEE). In the year 1986 national policy on education has decided to continue Elementary Education and to achieve the 100% literacy rate. And that time former Prime Minister Mr. Rajiv Gandhi had permitted to formulate the district level training institute for primary teachers. And in the year 1986 (DIET) District Institute Of Education & Training exist. Before DIET, in each state SCERT formulate. In our Gujarat, we called GCERT (Gujarat Council of Education Research & Training). 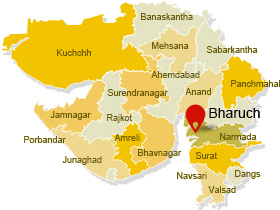 And Education Department, GCERT Gandhinagar through Bharuch DIET came into exist in 01/07/2005. Earlier days Rajpipla DIET was combined both district Rajpipla (Narmada) & Bharuch. At present our DIET running at Near Manan Ashram, Opp. Revadarshan Society, Zadeshvar, Bharuch.